Starting May 1st, challenge yourself to lose body fat and build muscle for the Summer. Document your transformation for a chance to win an all-expense-paid trip to Arms Race Gym. Challenge begins May 1st, 2019. WHAT IS THE 30-DAY SUMMER SHRED? Great question! Currently, I am dieting down for the Summer. Every year around this time, I push myself to get leaner and see the benefits of my Fall/Winter bulk. This year I decided to get you guys involved. In this Challenge you’ll gain access to The Daily Pump, Nutrition Guidance, Custom Macro-Calculator, My Prep Recipes, and exclusive content. Starting May 1st, you’ll have 30-days to transform your body and commit to the challenge. Well a lot, but here are some of the highlights. WHAT DO I REALLY GET WHEN I SUBSCRIBE? Here are some of the people who’ve been killing it on The Daily Pump. CAN ANYONE FOLLOW THE WORKOUTS? YES! The workouts are built to be used by anyone at any skill level. Whether you’ve been lifting for years and just need to switch things up, or if you’re just starting out at the gym. These routines are designed to help you break through ‘stalled progress’, to help make that mind-muscle connection, and isolate every single muscle group - including the ones you want to improve on! Membership to the site also includes full access to the video library (over 750 of them!) covering all the exercises I use in my training. Demo videos are a quick-look, under 30 seconds, showing a full view of the movement. 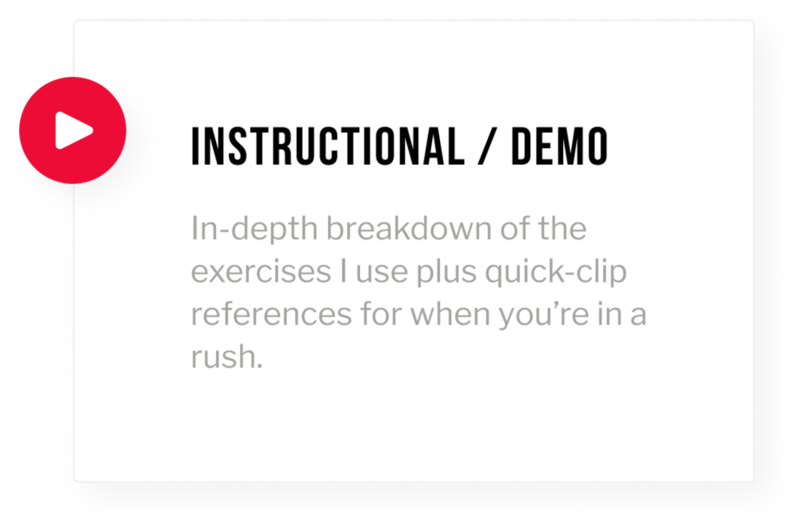 The Instructional videos are longer, more in-depth explanations with visual examples and cues to help engage a better mind muscle connection. New videos/exercises are added every week! Glad you asked! Diet determines your success on ANY program and this site is no different. Instead of posting generic cookie-cutter meal plans, I’ve created a complete Nutrition breakdown that shows you HOW to set your own personal macros. Not only will you be able to walk away with your specific macros, we’ve explained how to ADJUST those macros to achieve your goal. 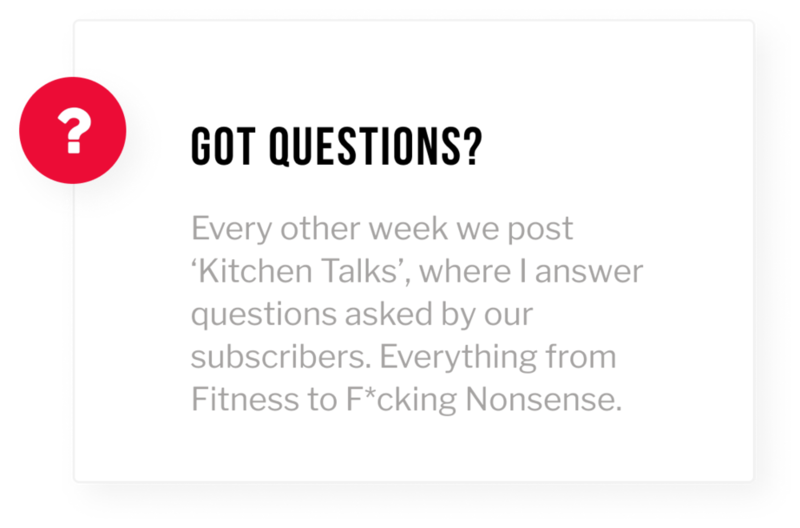 Check out the Kitchen Talk videos where I answer questions submitted by YOU. I've completed over 40 episodes already and new videos are posted each month! 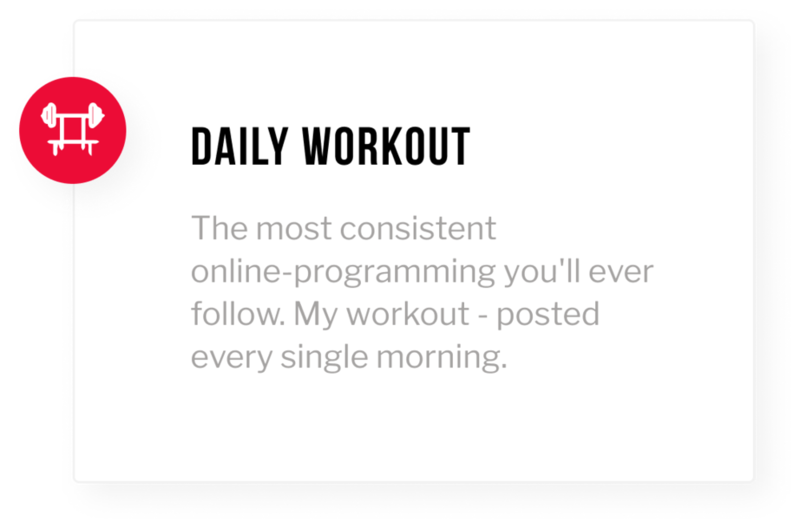 If you're not following The Daily Pump and you just need a fresh new workout on the fly, I've added an archive of Workout Wednesday routines organized by muscle group! This is a great way to change up your routine and an excellent place to start for someone new to lifting! Every single routine I post is scale-able to any fitness level. Whether you're a seasoned pro or just starting out, you can find exactly what you need to get you into the gym and on your way to reaching your goals. Members get complete access to Monthly Mobility exercises, full workout videos, Lifestyle vlogs, and an archive of past Instagram Live videos. You won't find this content anywhere else! Everything we film is exclusive to the membership site. OKAY, BUT HOW MUCH DOES IT COST? 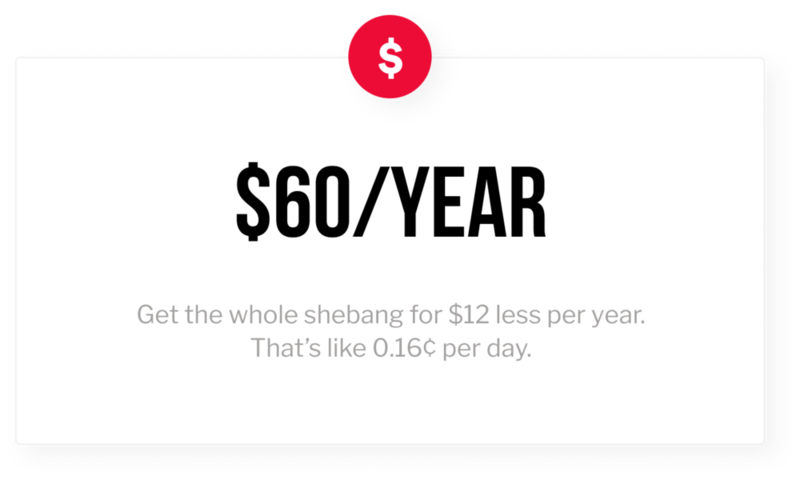 Less than 0.20¢ per day. The material on this website is provided for educational and entertainment purposes only, and is not intended for diagnosis or treatment.